Unfortunately Bachelorette Pad #1 had one of those iconic 1980s pieces: a brass fireplace. I think brass fixtures in any room date a house tremendously. Originally I thought I’d just have to replace the entire fireplace, and I also knew that was going to be quite expensive. I don’t have a pic of my original brass fireplace, so I found an identical one (and a very similar tutorial) on this website. While I was at Lowe’s searching for paint (for another project), on a whim I decided to ask the paint guy if he knew of any alternatives to replacing the entire fireplace. Fortunately, the Lowe’s guy was very helpful. After spending about $15, I was ready to transform the fireplace. You can actually paint a brass fireplace. You can’t use normal paint, however, due to the high temperatures from the fire. The Lowe’s guy pointed me in the direction of High Heat paint. 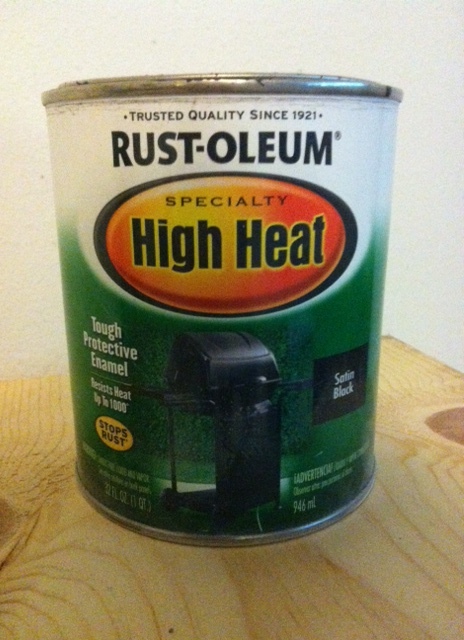 They’re primarily used on grills & such, but the paint is designed to endure the high temperatures. 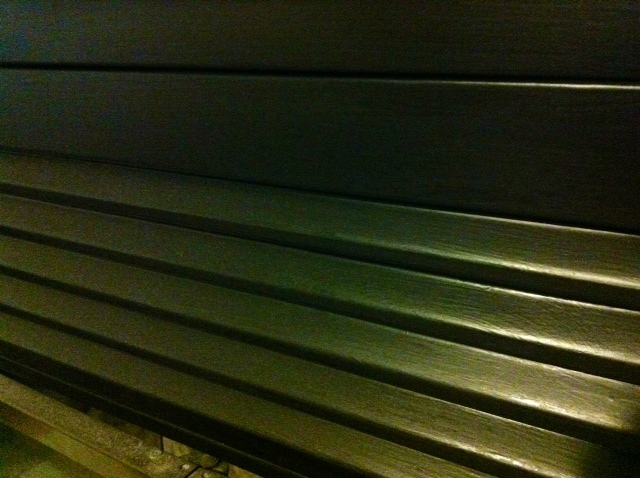 I painted a total of four coats (could have stopped with three), and there is still a lot more paint left. I decided to not use a regular paint brush because I didn’t want bristle marks to show. Instead I purchased a sponge brush in the craft section at Wal-Mart. 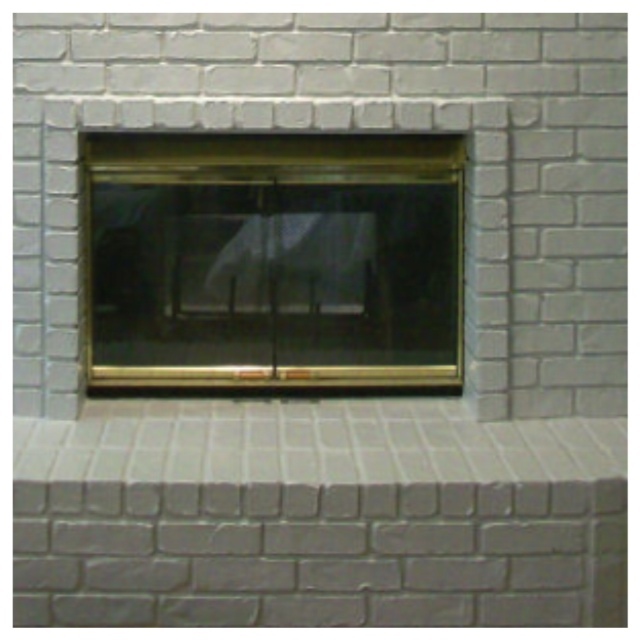 A tip: If you plan to paint the bricks like I did, I suggest painting the fireplace prior to painting the bricks. 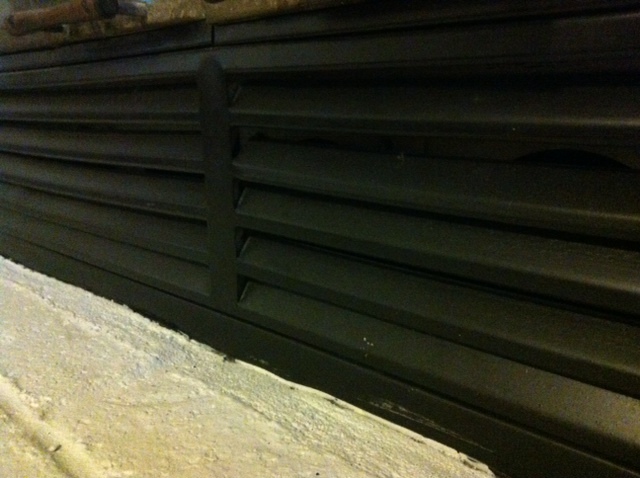 If you aren’t painting the bricks, be sure to use painter’s tape and cover as much as the bricks as possible. The paint can run because it’s pretty watery, so use less than normal on your brush. Total cost: $16 for paint & .50 for brush. « Bachelorette Pad #1: COMPLETED!